After the Jeep Compass was completely redesigned for 2017 this year's models receives no major updates. The Limited trim is now offered in front-wheel drive. Jeep bills the new Compass as the most capable compact SUV, and the model lineup backs up that claim. The Compass is powered by a 2.4L "Tigershark" 4-cylinder engine that makes 180 horsepower and 175 pound-feet of torque. 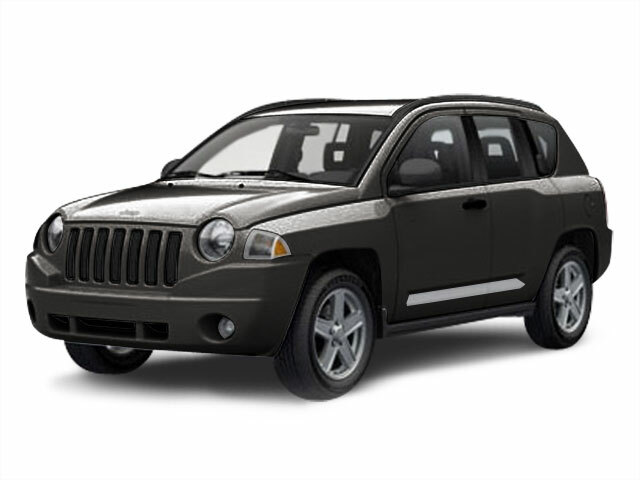 The engine features stop-start technology to increase fuel efficiency, and Jeep claims the Compass is capable of delivering up to 30 mpg on the highway. The Compass is offered in both 4x2 and 4x4 architecture. Standard on 4x2 and 4x4 models is a 6-speed manual transmission, while a 6-speed automatic is available on 4x2 models and a new class-exclusive 9-speed automatic can be ordered with the 4x4 Compass. Styling for the 2018 Compass is quite attractive and modern and it's easy to see the family resemblance to the bigger Cherokee, and a historical nod to all Jeeps with its distinctive 7-slot grille. 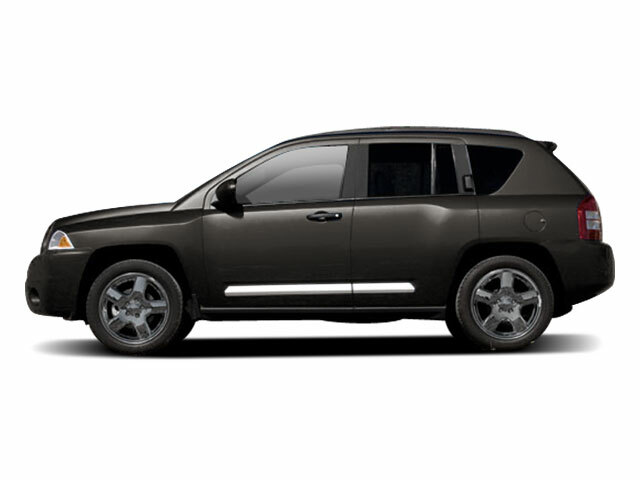 With a sleek roofline, sculpted, high-shoulder profile and wide stance, the Compass is unmistakably Jeep. It rides on a fully independent suspension with a front and rear strut system that features advanced damping. Electric power steering offers precise control behind the wheel at low and high speeds. Rigidity and weight are both optimized thanks to a structure comprised of 65-percent high-strength steel. 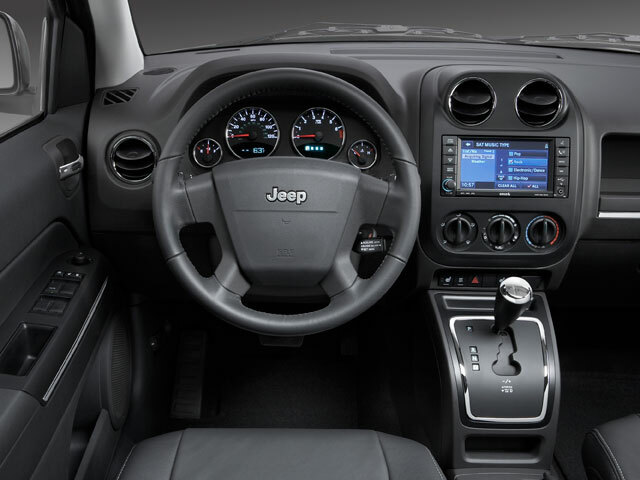 In 4x4 configuration, the new Compass benefits from two advanced systems -- Jeep Active Drive and Jeep Active Drive Low. The former provides full-time 4x4 capability, while the latter offers a 20:1 crawl ratio. Both systems include Selec-Terrain, which provides several modes for driving, including Auto, Snow, Sand, and Mud. On highly capable Trailhawk models, a Rock mode also features, along with increased ride height, skid plates, and front and rear tow hooks. Other standout features on the Trailhawk include hill-descent control, 17-inch tires, a front fascia with a 30-degree approach angle, a 2,000-pound towing capacity and the ability to ford up to 19 inches of water. The interior of the Compass is highlighted by attention to detail in every surface and material. The center stack features a color touchscreen of 5.0, 7.0, or 8.4 inches depending upon trim. Each is accompanied by a Uconnect intotainment system. Steering wheels feature audio, voice, and cruise controls, while a 7-inch LED driver information display allows drivers to easily configure the information most needed during every day driving. Other tech features on the Compass include Apple CarPlay and Android Auto, for seamless smartphone integration. 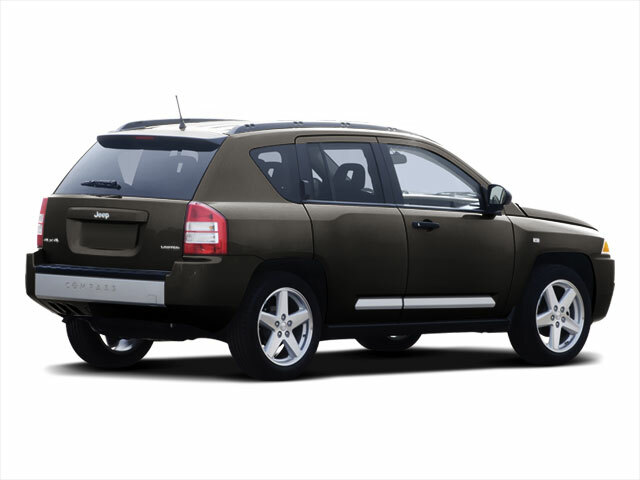 The Jeep Compass is one of the lowest-priced off-road utility vehicles on the market. With fresh new styling reminiscent of the upscale Cherokee, it's also a standout design in a crowded segment. Ease of parking and maneuverability remain strengths for the model, and it's also reasonably fuel-efficient at an EPA-estimated 30 mpg. When properly equipped, the Compass can tow up to 2,000 pounds. And its off-road prowess is rooted in Jeep's legacy of go-anywhere, do-anything capability, particularly in the Trailhawk variant.